Popular Archaeology Magazine is pleased to release this special issue of its Discovery Edition. Rich with images, this issue features the ‘best of the best’ major feature articles published in Popular Archaeology over the past five years. We are confident that you will find more compelling, superior quality content in this volume than any other single volume of any archaeology-related magazine publication, online or in paper edition. But you don’t have to take our word for it. See it and read it for yourself. This issue is available to premium subscribers only, so if you do not have a premium subscription to Popular Archaeology yet, it is easy to subscribe. Go to “Subscribe Here” in the upper right-hand corner of the home page at https://popular-archaeology.com and click. This will walk you through the simple and easy process to register. Once you have subscribed, please inform us at [email protected] and we will activate your subscription to Popular Archaeology and provide you with a coupon code for your free subscription to this special Popular Archaeology Discovery Edition. If you are already a premium subscriber to Popular Archaeology and you are not signed up for the Discovery Edition, write us at the same email address for the coupon code. 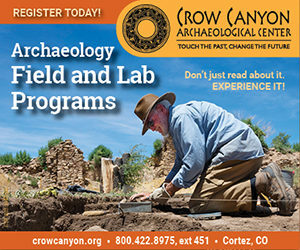 To sign up for the Discovery Edition with the coupon code, go to “Subscribe Here” in the upper right-hand corner of the Discovery Edition home page at http://archaeologydiscoveryedition.info/ and complete the registration (very simple) and don’t forget to use the coupon code where prompted to get your free subscription! We believe you will enjoy the content of this special publication!